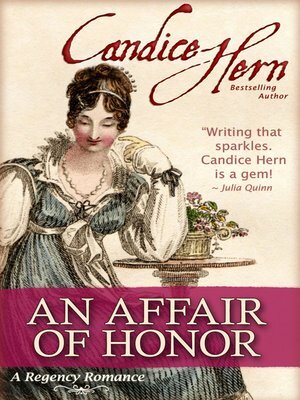 Fans of the traditional Regency Romances of Georgette Heyer, Barbara Metzger, and Jo Beverley will enjoy this witty, entertaining romance from New York Times bestselling author Candice Hern. Meg Ashburton's single London Season had been a disaster. Skinny, red-haired, and 6-feet tall, she had been overlooked as an insignificant gawky bumpkin by all of Society, especially by the gentlemen. Except for one man. Lord Sedgewick had danced with her, and she had secretly fallen in love with him. Now, six years later, a carriage accident near Meg's country home finds a seriously-injured Sedge thinking he's dead, with a red-haired angel bending over him. Meg does her best to insure that the only man she's ever loved doesn't die while under her family's care. As he recovers, she has a second chance at love with him. But when he finally makes her an offer, it is not the sort that Meg can accept. Or can she? From a famous stud farm in the Suffolk countryside to the ballrooms of London, Regency England comes alive in this charming romance.